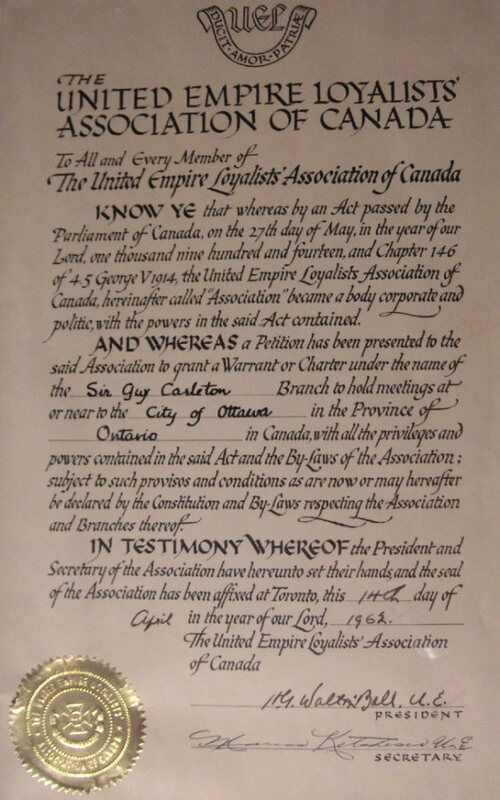 Welcome to Sir Guy Carleton Branch of the United Empire Loyalists' Association of Canada (UELAC). 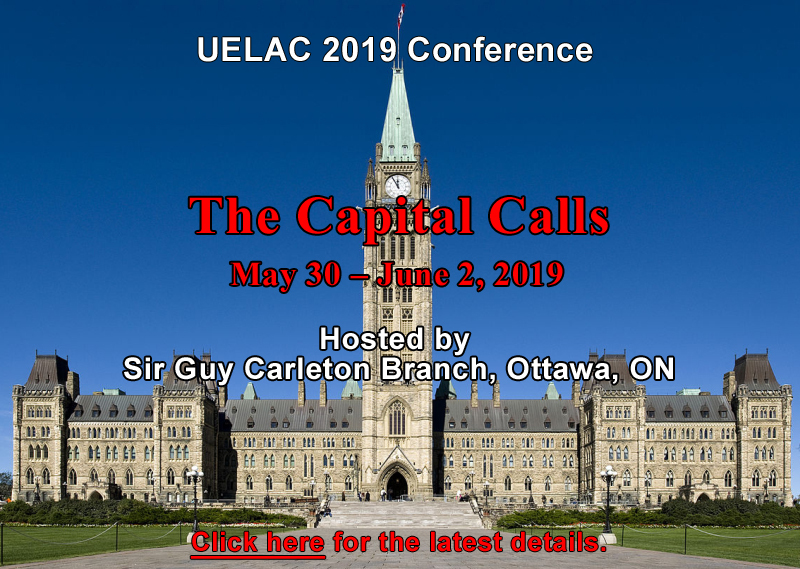 Sir Guy Carleton Branch is located in Canada's capital – Ottawa, Ontario. To preserve, promote and celebrate the history and traditions of the Loyalist epoch in Canadian History. Read about the history of Sir Guy Carleton Branch, by Dorothy Meyerhof, with contributions from George Anderson, Gary Bagley, Margaret Hall, Edward Kipp and Sylvia Powers.